The most EXCITING news I’ve had EVER (maybe not ever, but RECENTLY!!) 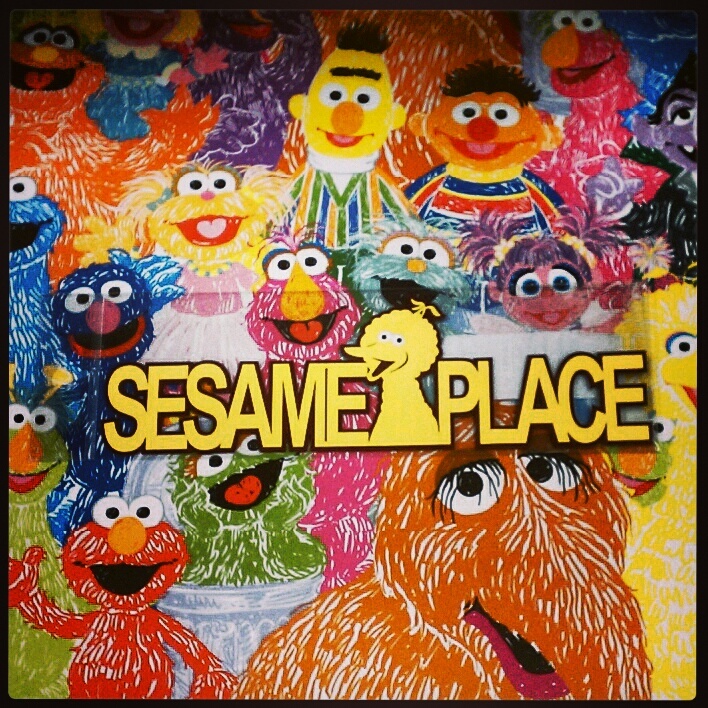 is that I was selected to be a Sesame Place Blog Ambassador for this season and ohhhhh my goodness I’m so psyched I can barely sleep! I’ll go down there to visit and play and see my buddies Grover and Bert with the girls and maybe some other folks, then I’ll tell you all about it. As a little yippee and hooray, I made cupcakes today. I got the Elmo picks at the big opening of HOBBY LOBBY a couple weekends ago (along with EVERYTHING ELSE IN THE WORLD) and I’ve been saving the ABC, 123 sprinkles for just such an occasion. There have been some difficult and weird times at hunny’s job, morale is strange at the moment so he thought it would be nice to bring a treat to the guys he has lunch with every day. 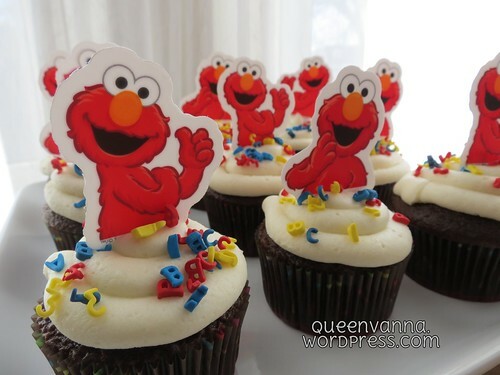 I stopped in at lunchtime today to drop some off and they enjoyed the Elmo cupcakes a whole bunch. The girls each had one as a bedtime snack, but they just thought it was because mom felt like making cupcakes. I’m keeping our several visits to Elmo’s house a secret for now! so last year there was a small debacle regarding peppermint candies. aaaand i had about 450 left. so i tried these cute little coaster/trivet/thingies i saw somewhere, probably on pinterest. they didn’t turn out the way i hoped (peppermint candies, i am OVER you! ), but i used another 50 candies or so, hooray! that top one is probably the best, i used a pizza cutter to make the edges sharp and so it’d fit the little tray i wanted to put it on. the edges tended to get a little runny, but eh, cute enough. oh, and hey! 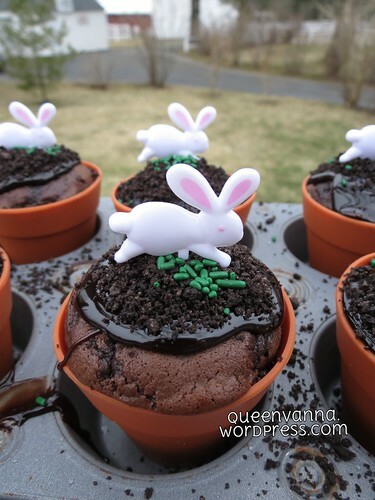 dig my cupcakes! i made those for our viewing party for Extreme Makeover: Home Edition and they were pretty darn cute if i say so myself. and i guess while i’m doing the dump of holiday-time desserts i have made, lookit these little peppermint icecream whoopie pies! i made the icecream, i made the whoopies, i made the pies! when the first one goes in wonky, just pretend you meant it. also, i painted my nails polka dotted this a.m.
babycakes has been eating kids’ yogurt lately, and the containers are a really cute size. they’ll fit 2 mini cupcakes just fine. and everything tastes better then served in a cute bowl. a tasty treat for 1.
a little something for everyone who likes strawberry cupcakes! and the ever-lovely Peg tipped me off to this blog post, and i haven’t slept since because i’ve been pondering all the possibilities. my first trial was pretty much a copy from the blog, i just wanted to test out my materials and see if i could recreate them. the potential for mess is great. me and frosting and a small container? it’s a recipe for disaster…. but i did ok i suppose. maybe if i crammed the raw dough down in the container that would work… mmmm, botulism… guess i’ll have another sleepless night or two. the hardest part for me was deciding what colors to make… i thought i’d try a red/pink one because it’s getting to be that time of year, and went with other colors on that end of the rainbow… i love the idea of using the flourescent food coloring, i’m going to have to get some of that! i could’ve taken pics of the mini cupcakes all afternoon… but there were small children whining about how they wanted to eat them… so, whatever. the first part of the project is to make some mini cupcakes in various colors. 1 cake mix will make about 48 mini cupcakes, or 2 mini pans, use as many colors as you’d like. just be sure you have an even number of each so that you have matching tops and bottoms. cut off the bottoms of the cupcakes. this sounds KRAY-ZEE, but feed those parts to the small children. they can’t whine as effectively if their mouths are full. use a can of frosting and color as many colors as you made cupcakes. this is where i was glad i didn’t go crazy cuz getting the frosting into the piping bag really was the most time consuming part of this whole thing. 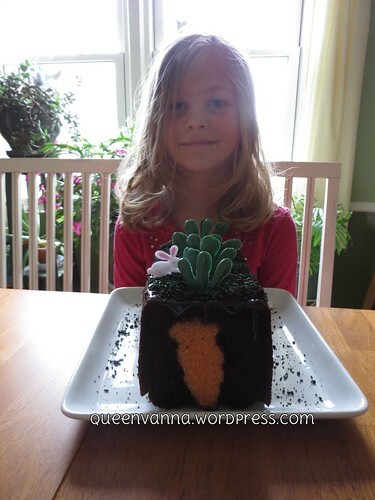 you can schmere it on with a knife, but i love those disposable piping bags and different decorator tips. they make me smile. squeeze the frosting on the bottom of one, squoosh another one on top and wa-LA! tasty little cupcake sandwiches! i ate 2, and i think my blood sugar is about 847 right now. making rainbow cupcakes for babycake’s 1/2 birthday at preschool tomorrow. note to self, don’t give children an open ended “what do you want for snack at preschool” unless you’re gonna follow through on the craziness. next time, i’ll remember to offer options. =) good thing it’s sunday and there’s time for rainbow cupcakes with rainbow sugar sprinkles! i needed to make 19, but i made 20, cuz i’m gonna sneak one after dinner. i’ve been working on a custom order of 100+ little notebooks. they’re adorable, but OI, my wrist is killing me from all the die cutting and binding. that’s some hard work right there, people! this week the preschool did their annual ice scultpure. this year met with AMAZING results. we’ve had a ton of snow, and it’s been crazy cold, so we were able to build it up on a snow bank and omg, it’s adorable. it was like our own mini stonehenge – even the shadows were pretty! i can’t bear to think about not coming to preschool next year, but they invite “alumni” to add to the fun. we will be sure to come by for many years to come.